Easy Brown Sugar Cranberry Sauce has the perfect blend of sweet and tangy flavors! I love holiday get-togethers for two main reasons: the company, and the FOOD. Of course! The thing is, I kind of feel like main dishes get all the attention. As much as I love a great holiday turkey or ham, it’s the side dishes that really get me excited. The appetizers, the salads, the dips, even the veggies (I mean hello, sweet potatoes covered smothered in cinnamon sugar and topped with marshmallows? Sign me up!). I even like holiday side dishes better than most of the desserts. I’m not a huge pie person so I’d skip a slice and go for a second helping of ever side dish in a heartbeat! 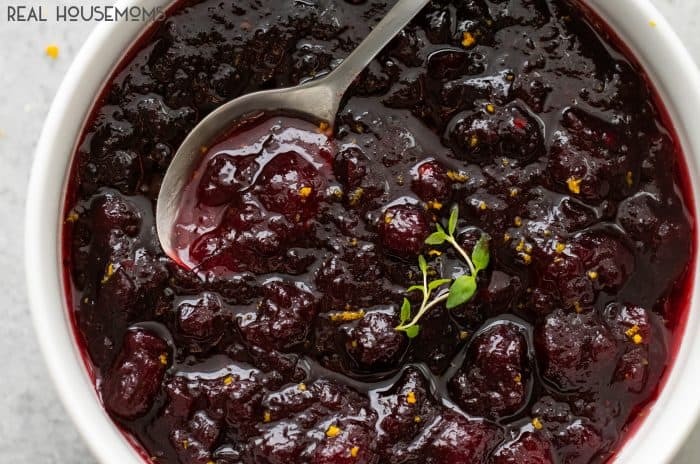 Cranberry sauce is a must-have side dish/sauce for holiday meals, right?! This is my favorite orange and brown sugar cranberry sauce! 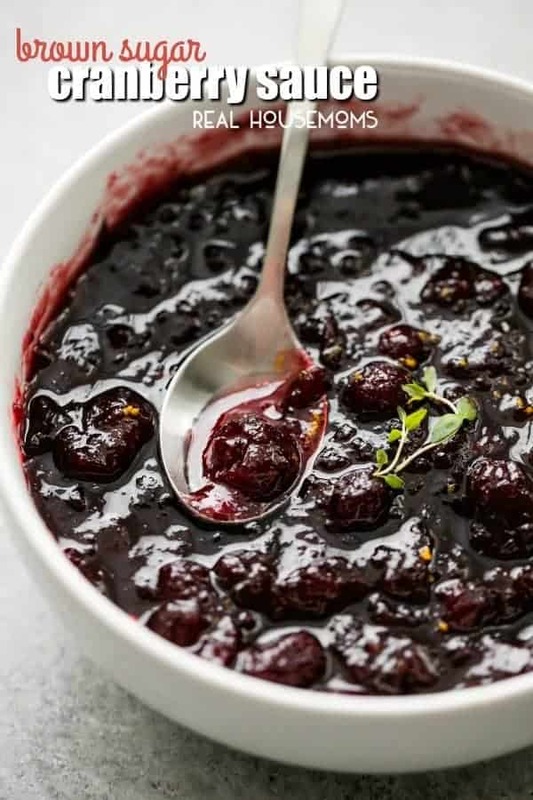 The only thing better than how amazing this cranberry sauce tastes, is that it is incredibly easy and fail-proof. It will be ready in about 15 minutes and can be made ahead of time and the whole recipe only calls for FOUR simple ingredients! 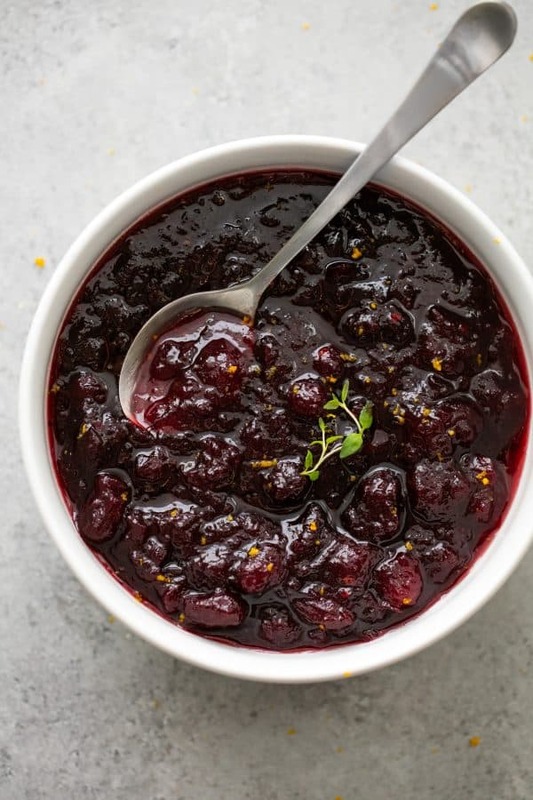 Easy brown sugar cranberry sauce has the perfect blend of sweet and tangy flavors. Combine brown sugar and orange juice in a medium saucepan and stir over medium-high heat until sugar is dissolved. Stir in cranberries and cook about 10 minutes until cranberry skins start to pop open. Stir in cinnamon. Remove from heat and transfer to a bowl. Allow to cool, then serve with your favorite meats or side dishes.